QAthlete Diet Organizer is the most comprehensive diet and nutrition online software that gives you the tools to reach your weight goal by providing simple means of tracking your food and workouts, monitor your health and get clear assessments of your efforts and results. QAthlete Diet Organizer will not burn calories for you, but it will eliminate any guesswork and help you make the right decisions to reach your objectives. It is also equipped with features to monitor specific nutrients, which is essential for people with food restrictions. We have received many testimonies of customers who have used our online applications: people who lost weight (and a lot of it) and kept it off, people who now can accurately track their food to better control their medical condition, people who want to maintain their weight, etc. QAthlete Diet Organizer is a fast, easy-to-use calorie counter and diet diary. Whether you want to lose weight by calorie counting or optimize your diet and fitness routine QAthlete Diet Organizer can help! 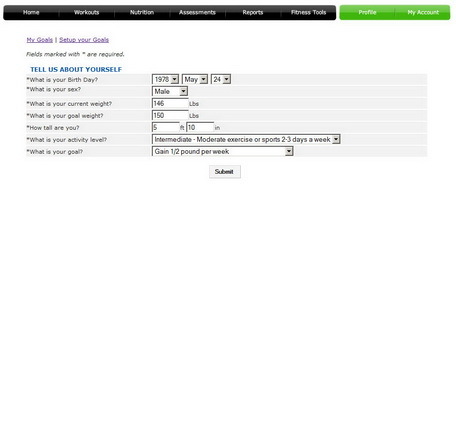 *	Enter your profile and find out what your normal weight range exactly is. *	Choose your target weight and QAthlete Diet Organizer will help you determine how long a healthy diet will take. Successful weight losses are achieved by making small, but long-lasting, changes. *	Select your diet plan (such as low carb) or create your own. QAthlete Diet Organizer will later notify you whenever you select a food that does not match your diet plan (such as choosing food too rich in carbs while being on a low-carb diet). *	Set nutrients daily limits (minimum and/or maximum) on specific nutrients (such as carbs or fat) you need to watch for in order reach your daily goals and stay within your diet plan. You will be able to see in a chart how much you have consumed through your meals and how much you can (or not) consume further. *	Select your daily energy requirements for QAthlete Diet Organizer to calculate the recommend percent daily values (%DV). You will be able to see whether you are missing, meeting or exceeding the %DV of the nutrients you're tracking. *	Enter meals using 50000+ food items based on the USDA food database, along macro- and micro-nutrients (carbs, proteins, total fat, sodium, cholesterol, sugar, etc.) A powerful search lets you find foods in a split-second. QAthlete Diet Organizer also keeps track of your favorite foods, making it super fast to build meals with the food you consume the most. *	For each food, see how much energy comes from carbs, proteins and fat. QAthlete Diet Organizer will notify you whenever you select a food that does not match your diet plan (such as choosing food too rich in carbs while being on a low-carb diet). *	You can track water and enter meals using food group servings, which is best when consuming prepared foods. 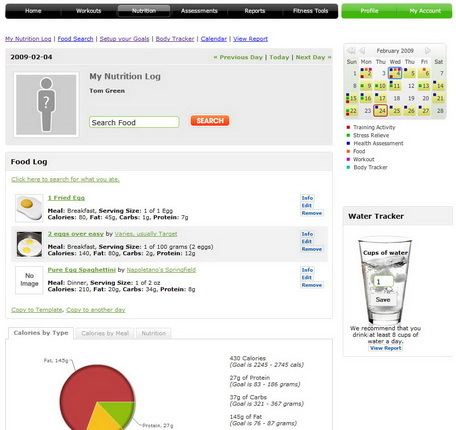 *	See a daily summary of each food you consume, with a list of nutrients you choose to track. *	Make it easy to count calorie. o Your current weight vs. how much you should weigh at the moment. o Your eating habits (whether you consume too much or not enough food). o Your exercising habits (whether you exercise enough or not). o What to do to reach your weight goal in terms of eating and exercising. 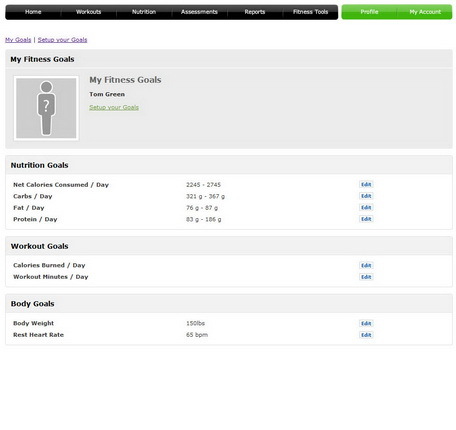 *	The day view shows a summary of calories (or kJ) or any nutrients you wish to track (such as carbs, sugar, etc). Quickly find out how much of them you consumed and eliminate any guesswork about how much you can still consume (or not) for the remaining of the day while staying within your limits. *	The day view also presents a diet summary that displays your weight trend from the start of your diet independently of the too-often discouraging but normal and usual daily weight fluctuations. The weight trend is what matters, not the daily fluctuations. *	The month view shows an immediate snapshot of your efforts overall: you can immediately see for any day if your weight is on track with your goal or not, helping you make a prompt assessment of your situation and take the right decisions. o Daily calories from BMR, workouts, allowed, meals and net. o Calories: consumption/expenditure, net and per hour. o Vital signs: body weight, body fat, blood pressure and blood markers (e.g. cholesterol). o Water and nutrients consumption. o Workout duration, distance and heart rate. *	Smart search, searches as you type, shows the most likely items first. *	Keep your Calorie counter data private (on your own PC), password protect your data. *	Enter daily limits (minimum or maximum) about nutrients that have a direct impact on your health, such as glucose, cholesterol, fiber, sugar, sodium, etc. Not only will this help to stay within your daily limits, but it is indispensable for anyone whose health highly depends on limiting the consumption of specific nutrients (e.g. diabetics, people with high cholesterol, people with high blood pressure, etc.) This is also useful for people that need to consume a minimum of specific nutrients, such as calcium. *	As you enter meals, QAthlete Diet Organizer can show you how much of each nutrient you have consumed for the day, and whether you can consume more, have reached or exceeded the maximum (and by how much). This eliminates the guesswork about what you can or not eat for the rest of the day. *	Track blood work analysis and markers (such as cholesterol, triglyceride, etc). You can also instantly chart any blood marker over any period of time to see any important trends.